Get started mapping out your new plan now with my free 3-step guide. PLUS get instant access to exclusive tips, tricks & inspiration to help you along the way. Yes! I want to receive the Balance & Thrive newsletter and know I can unsubscribe at any time. One of the biggest stress triggers that I hear people talking about is time. No one feels like they have enough of it, and everyone wants more of it. Time is out of our control. We all have the same amount of it. We all just manage ourselves and our commitments differently. Some of us are overly optimistic about what we can get done in a day. Others of us feel obligated to “do” everything. And then there are those of us who are easily distracted and really struggle to stay focused. If I’m being completely honest, I’m a combo of all three. What about you? Here’s the thing that is life altering when we finally accept it – learn to manage yourself, not your time. We can’t actually manage time, or impact it in anyway. Even if we know this, saying things like “there’s just never enough time” is sending the message that we think that time is the thing we have to change. Time is not in our control. It moves whether we want it to or not, and the speed of it is always consistent. Reality is, if we were given more time, we’d just cram it with more things to do. The second that we realize we need to manage ourselves better than time, everything changes because now we have options. We can make choices about our actions and we can be intentional in choosing what we put in our schedules. Time is precious commodity. We all have a certain amount and once it’s spent, it’s gone. So use it wisely. Hit reply and let me know how it goes! P.S. If you want to learn more strategies to help you manage stress, join the “Make IT Happen Masterclass.” We’re talking about stopping the stress struggle once and for all on our call this Wednesday! Join here. P.P.S. 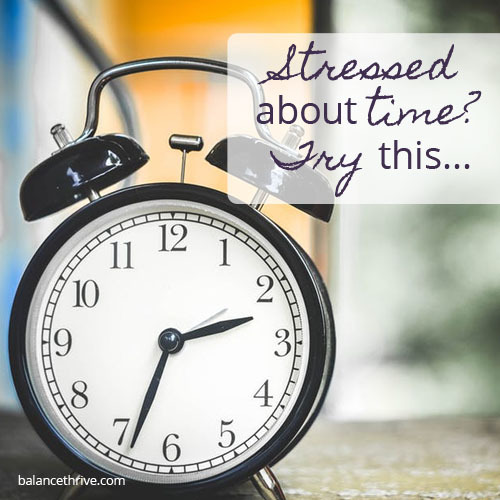 Know someone who is always feeling stressed about time? Be sure to forward them this email so that they know how to get some help! Like this post? Sign up to get all of my tips, tricks & inspiration straight to your inbox – it’s FREE! 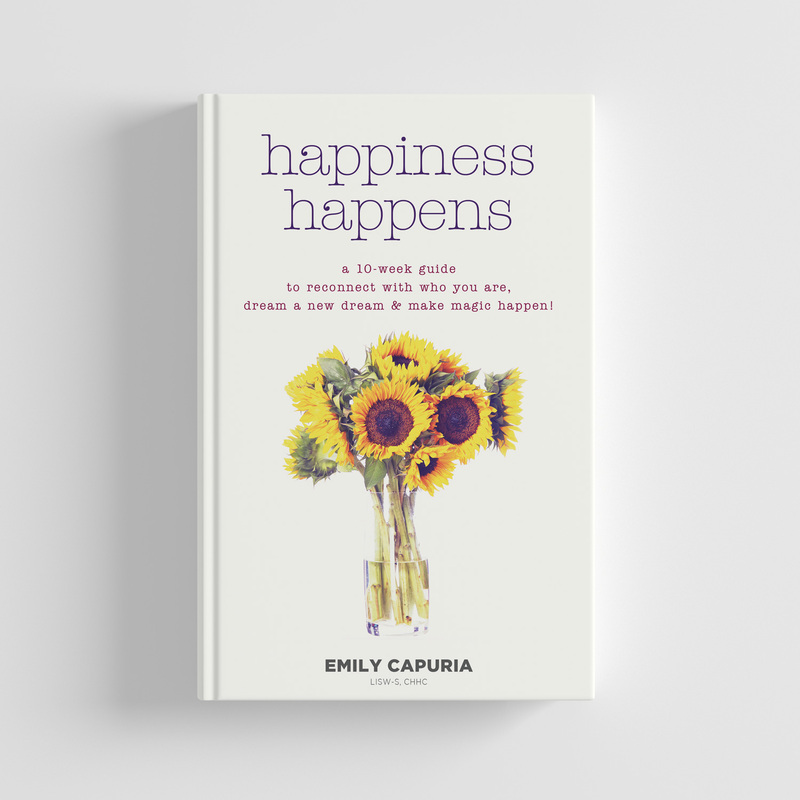 Happiness Happens is now available! Grab your copy today. Never miss an update from Balance & Thrive. Sign up below to receive emails and be the first to know about news & events! By clicking the above button, you are agreeing to be added to the Balance & Thrive newsletter list, which means you will receive updates in your inbox. You can unsubscribe at any time.